The cable desk grommet brush has various specification of material. Different material has different sales price. Generally, it is made of PP or PA filament with/without flame retardant function for your choice. I suggest to use flame retardant filament to make the cable desk grommet brush which is a cable manager with many cable and electrical wire passing through. Otherwise, when short circuit happen and cause spark, the cable desk grommet brush without flame-retardant will start a fire which cause severe destroy. But with flame-retardant cable desk grommet brush, the fire can be avoided. AOQUN has devoted to R&D flame retardant filament which has 4 degrees of HB, V-2, V-1, V-0. AOQUN cable desk grommet brush has already reached the UL94 V-0 degree. The sample of cable desk grommet brush which thickness is between 3 to 13 mm, the burning rate should less than 40 mm/second; less than 3mm, the burning rate should less than 70 mm/second， or die out in less than 100 mm. If You Use the Cable Port Brush Strip, Please Inquire AOQUN! We don't have much time to manage the messy wires and cables which are used in common equipment, such as laptops, printers, scanners, copiers, speakers, monitors, etc. However, these wirings are quite numerous, occupying a relatively large area, and are prone to accumulate dust. In severe cases, a short circuit may be caused by the entangled wiring, leading to cause a fire. 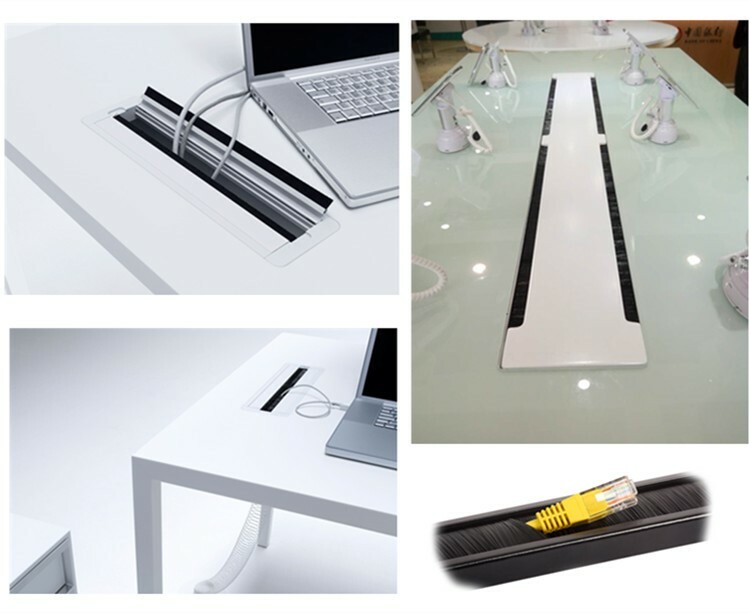 AOQUN cable port brush strip helps you achieve the ideal office environment. AOQUN cable port brush strip is widely used on desks, conference tables, display tables, control console and other desktop boxes to seal dust and wiring, to protect the power cord from damage, and keep the office environment clean and beautiful. cable port brush strip, which can be installed directly on a variety of office furniture. You can also install it on the grommet, and then mount it on the desk, to achieve flexibility wiring. Besides, the cable port brush strip complies with the humanized design. The corners of the Cable Desk Grommet have been treated with arc angles to prevent scratches during installation and use. AOQUN cable port brush strip can be with the shock absorber / the damping. This cable port brush strip not only brings a neat, beautiful effect, but also achieve sound insulation. Various models for your choice, welcome customers to inquire with drawings. AOQUN selected every good brush filament to make the cable port brush strip. The entire brush grommet is neat and air-proof. The people-centered design of AOQUN helps you to create clean and spacious office space. Do you have trouble selecting the suitable cable entry brush? Do you have trouble selecting the first quality cable entry brush? Do you have trouble selecting the trusted manufacturer for cable entry brush? Below will show you the content of selecting a cost-effective cable entry brush: Firstly, if you want to select the suitable cable entry brush for your server rack, you should manufacture by size, for the customized cable entry brush will be the best for your server rack and play an important role in sealing. Thus, when you provide us with the length and width of the slot of your server rack, we can make it to suit your sealing requirement. Secondly, you should choose the different filament per the environment. For example, you should choose flame-retardant filament for fire protection, choose the water absorption PA filament for anti-fog and save trouble. Therefore, before you customize the cable entry brush, you should communicate with the salesman about your requirement and your environmental conditions for making the suitable product for your server cabinet. AOQUN has more than 12 years’ experience for making cable entry brush. 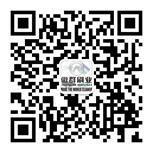 We devote ourselves to do every detail perfectly and become the manufacturer of HUAWEI, KEXIN, SUNSEA, etc. Our cable entry brush is reliable, welcome for consult! AOQUN Creates an Innovation of Blanking Panel Brush Strip! There is an old saying, focus on your specialty, and develop it. AOQUN provide a one-stop solution to solve and satisfy customers’ requirement. We are continue to overcome difficulties in production of blanking panel brush strip, never stop. Now we have created an innovation of blanking panel brush strip! The normal brush height of theblanking panel brush strip is range 20-200mm. the filament diameter should be larger than 0.3mm if the brush height reaches 100mm, which can effectively ensure the blanking panel brush strip will not droop in the natural state. 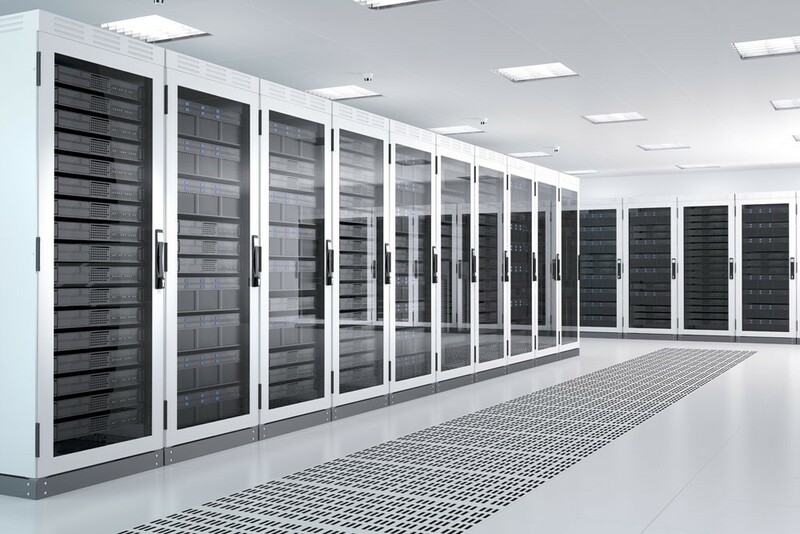 Now for the use requirement of the telecom industry, the gap between the server rack cabinet can be big or small, even more and more bigger. Currently, we received a customer’s inquiry that he wants the brush height to be 220mm, and keep the blanking panel brush strip vertical in the natural state. As we know, if we don’t change the brush base, the brush filament is like the hair, droop when it reaches a certain length. More far away from the brush base, it will bend and droop more easily for it has weight. The biggest function of the blanking panel brush strip is sealing and dust-proof, but the drooping of the brush filament will have gap and then affect the sealability. For that, AOQUN has make a suitable blanking panel brush strip production solution for the customer. We aim to keep the sealability of cable entry and continue to do research, choose the right brush diameter and brush length. Finally, our solution has approved and ordered by our customers, who amazed by the speed of making sample and shipping the goods. Customer satisfaction is the pursuit of AOQUN. We meet and overcome difficulties in blanking panel brush strip production, provide customer with more and more blanking panel brush strip solutions, and solve brush problem for customers!